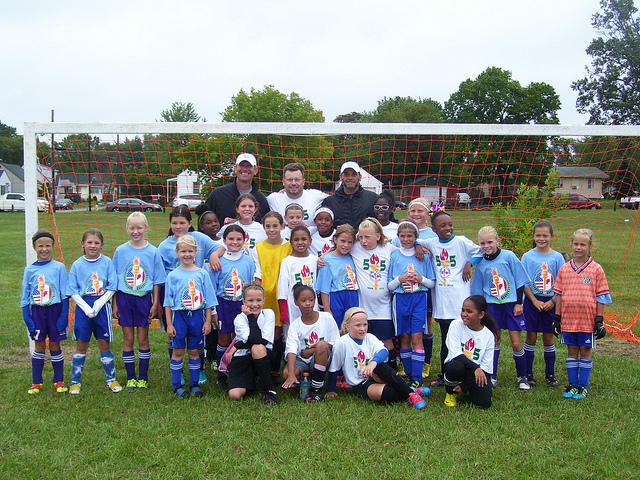 The under 10 girls soccer teams from the CANUSA games in 2012. Flint’s games will go on. Flint school district students have competed against their peers from Hamilton, Ontario for more than a half-century in a variety of sports. Last year, the financially troubled school district decided to end its funding, putting the future of the games in doubt. But Flint Mayor Dayne Walling says money has now been found. “The announcement of the Olympian and the CANUSA games continuing has been in the works behind the scenes and the partners are very close to being able to make the details of that announcement,” says Walling. Walling calls the CANUSA games a “positive” for Flint.